In his first term as Music Director of the Orquesta Sinfónica de Galicia Dima Slobodeniouk's impact has been felt for his deeply informed and intelligent artistic leadership. Combining his native Russian roots with his years of musical study in Finland he draws on the powerful musical strengths of these countries he currently makes his homes both in La Coruña and Helsinki. Slobodeniouk has recently appeared in Spain not only with his own orchestra but both with RTVE and Orquesta Nacional de España orchestras in Madrid, the latter with Joshua Bell as soloist. Dima Slobodeniouk also collaborated with Frank Peter Zimmermann at the 2014 Ascona and Mecklenberg Vorpommern Festivals with the NDR Hannover orchestra. He embarks on new collaborations with Rundfunk Sinfonieorchester Berlin with Simon Trpceski, New Zealand Symphony Orchestra on tour with Håkan Hardenberger, Symphonieorchester Bern with Daniel Müller-Schott, and Royal Liverpool Philharmonic with Alina Ibragimova. He returns to the Orchestre National de Bruxelles, Tapiola Sinfonietta, Lahti Symphony Orchestra - the latter both for a performance and recording project with Sharon Bezaly. In Spring 2015 Dima Slobodeniouk performed Ligeti's Le Grand Macabre with the Essen Theater und Philharmonie. 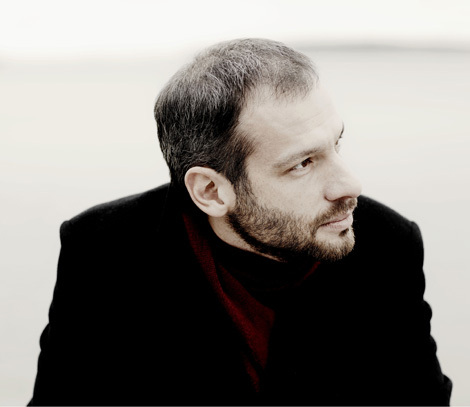 Dima Slobodeniouk works with a distinguished list of international soloists and aside from the aforementioned he collaborates with Colin Currie, Natalia Gutman, Barbara Hannigan, Sergey Khatchatryan, Pekka Kuusisto, Elisabeth Leonskaja, Alexei Ogrintchouk, and Alexander Toradze. Slobodeniouk has an impressive skill across a broad field of repertoire from core works to conducting some of today's most noted composers including Brett Dean, Einojuhani Rautavaara, John Corigliano and Graham Fitkin. In La Coruña he has introduced audiences to Spanish and world premieres of native composers Federico Mosquera and Fernado Buide, and Sebastian Fagerlund's violin concerto, Kalevi Aho's percussion concerto and Hans Abrahamsen's song cycle Let me tell you. A disc containing works of Finnish composer Sebastian Fagerlund conducted by Slobodeniouk with the Gothenburg Symphony Orchestra was released in Spring 2011 to impressive reviews. Slobodeniouk, born in Moscow, studied violin at the Central Music School under Zinaida Gilels and J. Chugajev continuing at the Conservatory's Music Institute, Moscow in 1989 and at the Central Finland's Conservatory and the Sibelius Academy under Olga Parhomenko. In 1994, he participated in the conductor's class of Atso Almila. He continued his Sibelius Academy studies under the guidance of Leif Segerstam, Jorma Panula and Atso Almila. He has also studied under Ilja Musin and Esa-Pekka Salonen.